Passenger Service & Fan Trips on the D&H – SMARTT: Scale Models, Arts, & Technologies, inc. Unlike most Northeast railroads in the 1960’s, the D&H tried to improve its passenger service. Its flagship train, the “Laurentian” (running between New York City and Montreal) was upgraded with the purchase of four Alco PA locomotives from the Santa Fe railroad. 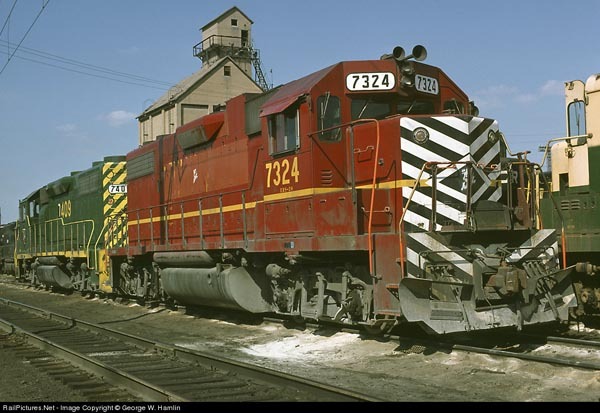 The PA’s were given D&H colors adopted into the original AT&SF War Bonnet scheme; the match worked very well. A dome car was added to the train to allow passengers to have a full view of the line’s breathtaking scenery. 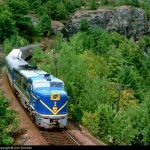 The dome car ran between Montreal and Albany including the run along Lake Champlain, with an impressive view from the cliffs above the Lake. 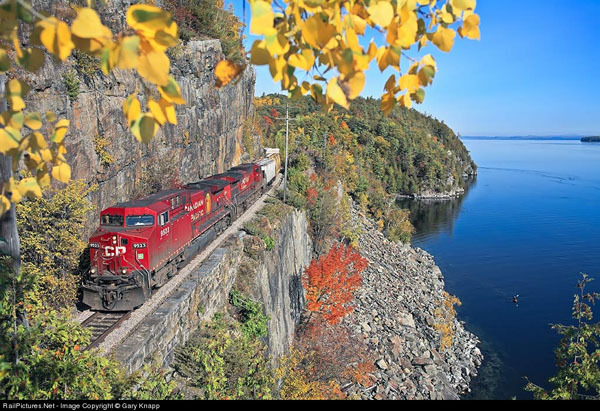 Here is some of the D&H RR breathtaking scenery along Lake Champlain. 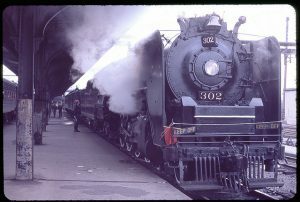 In 1973 the D&H decided to celebrate its 150 year anniversary in a big way and they wanted to do it with steam. Since no D&H steam locomotive survived, the railroad borrowed Reading T-1 4-8-4 number 2102 and in the biggest kit-bashing ever, turned the 2102 into the D&H 302, complete with smoke deflectors, recessed headlight, number boards, and bug-eyed marker lights. Model Railroad Craftsman magazine, who would monthly give out an award to the best kit-bashing project, gave it to the D&H for the job they did on the 2102! April 1, 1976 brought big changes to the D&H. On that day, all the major Northeast railroads became Conrail. Only the D&H would remain independent, however, it would more then double in size. 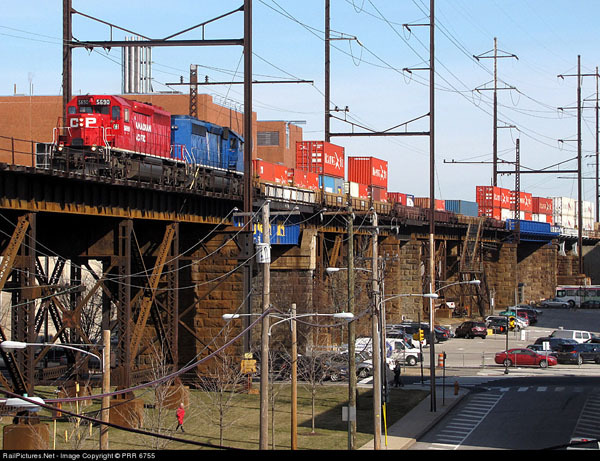 The railroad was given direct access to Buffalo, Philadelphia, Harrisburg (Enola yards), and Potomac yards via trackage rights. 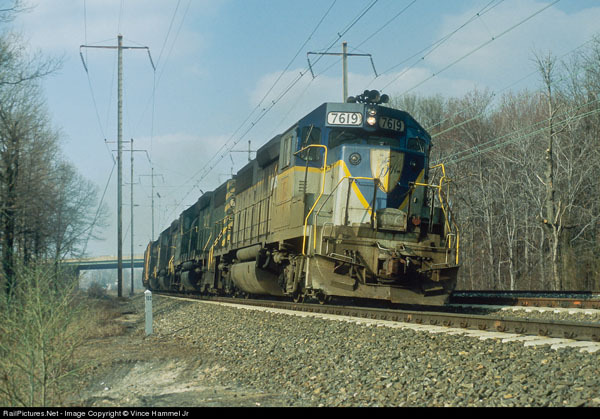 The D&H would also get locomotives from some of the railroads that went into Conrail. Ten C-420’s and twelve GP-38-2 came over from the Lehigh Valley. 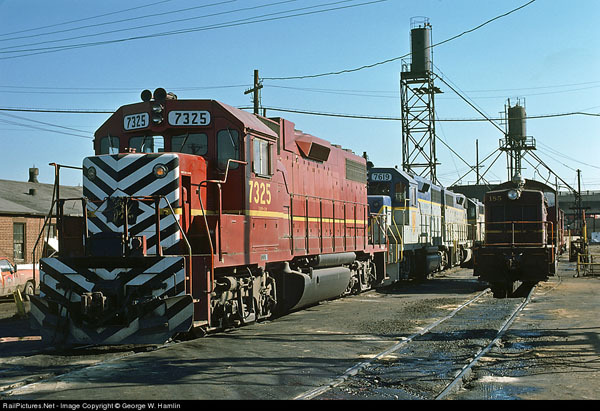 Three EL SD-45’s were added, and 20 Reading GP-39’s completed the acquisitions. Soon D&H power could be seen from Chicago to Philadelphia and in Pot Yard, Enola Yard, and in Buffalo. One other part of this arrangement was that the D&H would take over running the Lehigh Valley’s Apollo 1 & 2. D&H power would now run-through from Oak Island and Chicago. 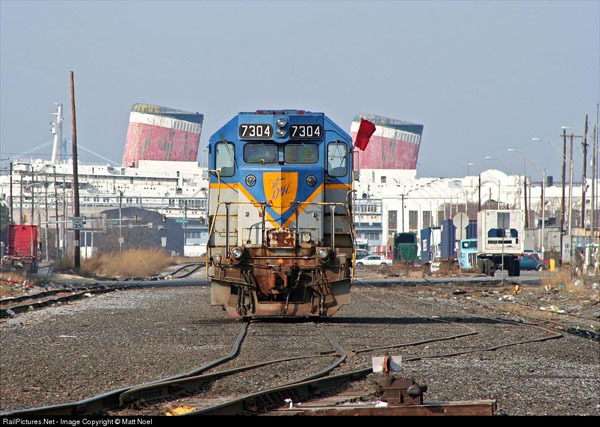 D&H GP-38-2 7304 at the Packer Marine Terminal in Philadelphia, PA. The great Luxury Liner SS United States sits derelict in the back ground. D&H Freight at Arbutus MD on former PRR rails. 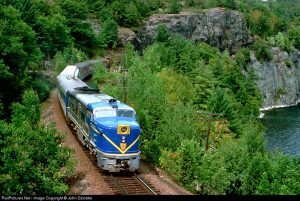 Photo from RailPictures.net by Vince Hammel Jr. The optimism of this new expanded D&H would be short lived. By 1980 the PA, Sharks, Alco C-628’s and the U33C’s would all be gone. The railroad was sold to Guilford Rail Systems in 1984 for $500 million. The D&H would itself enter bankruptcy in 1988 after the failed attempt by Guilford to save it. The little New York Susquehanna and Western railroad was appointed as operator of the D&H and remained so until the D&H was sold to the Canadian Pacific Railroad in 1991. It was during these years, 1988-1991 that JMJ productions would devote 4 documentaries to the railroads in and around Binghamton, NY, featuring the D&H then being operated by Guilford and later by the NYS&W. It was also during this time that I met and worked with one of the legends of railroad photography, John J Young, Jr. On a cool June morning in Binghamton NY(“There are only two seasons in Binghamton,” JJ would say, “two weeks in July and winter”), we waited at our appointed rendezvous for JJ. A man approached our car holding a large grocery bag. Morey Farcus, who owned JMJ and was in the driver seat, instructed me not to lower the window! I responded with, “I believe that’s JJ,” and lowered the window. “Ray!” was the response I received from outside. I responded with, “JJ!” In that brown grocery bag were the tools of JJ’s trade and fame, his camera equipment. That meeting began my relationship with JJ, one of the most personable and interesting people I ever met. Over the next three years, we would make several trips to Binghamton; meeting up and working with JJ would be a highlight of those trips. There was always so much to learn from him. JJ was a great photographer and story teller, and he was always willing to share his knowledge. I am still sad that he is no longer with us. It has been a long, hard road for the D&H since April 1, 1976. Its identity has gone through many changes with the current incarnation now a part of the Canadian Pacific Railroad. Under CP control, the D&H is a slimmed down efficient operation with new AC4400’s powering many of its trains. Track and signals have been upgraded, and traffic is on the increase. For the first time in 30 years, the D&H division of CP Rail looks to have a future. CP/D&H on the former PRR High Line in Philadelphia, PA. PRR 6755 RailPictures.net photo.